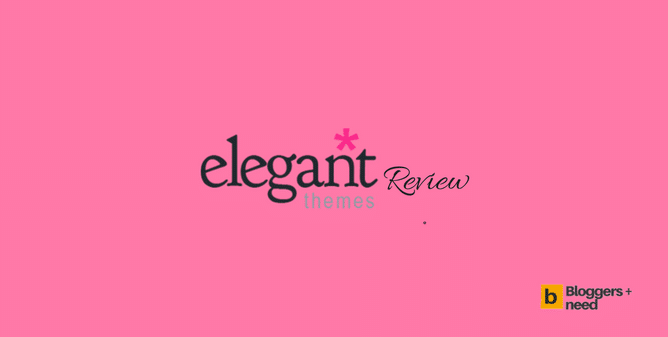 Are you going to use Elegant Themes on your blog? However, still looking for an opinion about the product? Then you should check this Elegant Themes review to know why I use their WordPress themes for some of my websites. Seriously, It took me barely 5 minutes to decide to use their products after knowing the benefits of using from their live chat support. After using it for one year I ‘v decided to show you some real experience and profits in this guide. Read out my honest opinion about this theme and then decide whether to use their templates and plugins or not. It’s up to you. It’s not a sales pitch. The company started eight years ago to give the best WordPress themes and plugins. Same as thought, now the company achieved its dream and successfully running as one of the best WordPress themes providers around the world. While writing this guide, the company currently got more than 500k customers using their themes and plugins on their websites. The company sells WordPress supporting 87 themes and five plugins and their developer team now working to launch more themes and plugins. We will see them in the future. The man behind the success of this company is Nick Roach the founder & CEO. His hard work brought the Elegant Themes company to this level. Not only him but the team members also deserve to applaud here. The team members are expert in coding, developing, and designing of WordPress themes and plugins. The passionate work from the expert team community made this product indeed shows elegance in appearance and quality. The themes were well-structured by simple coding and beautifully designed by different colors and layouts. Once you visit their website, you will genuinely admire the elegance of their designed themes and plugins. ORDER NOW & (Get 20% Off) Ends Today! If a product is currently used by half a million people around, then think about the popularity and quality of the product. The Elegant Themes is one of the kinds which gets so much fame and downloads because it always satisfies the intent of the 500k+ users who are using it currently. That’s why I bought it without any second thought. This is my second reason to buy Elegant Themes membership plan. They give all their entire collection with one single purchase either you purchase annual or Lifetime pan. The entire collection got various types of themes and the best plugins for WordPress blogs. 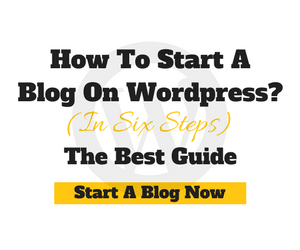 As a blogger, I have several blogs for multiple purpose, and I can use this themes alone. Previously I used to purchase themes every time which alone costs $400 to buy 10 themes for $40 each. However, here I got their 85+ premium WordPress themes and 5 premium plugins for just $89 only! Moreover, I can use the entire gallery. Divi is the web designer’s dream and most famous product from the whole collection. I adore working with Divi template and visual builder to create WordPress websites, and you can do anything with it. I’ll bet that you will leave your current theme and transfer everything to Divi after using it. I can’t describe it in few words about the beauty of this web builder. Kindly check this video. Some companies will give their products at the lowest rate at first but will increase their renewal price three times greater. This is the cheap tricks played by most companies. I always avoid these kinds of, and I would not say I like it. However, surprisingly Elegant Themes are quite frank about their terms and conditions. Even their renewals are the same as the product price. You pay $89 to purchase and will be spending the same amount $89 as the renewal or upgrade to a lifetime plan to avoid renewal. I hate per website pricing and, to be honest in the past, I was purchasing the license for every single blog I own. For the first time, I see the word unlimited usage for the product. It excites me. By becoming the member of Elegant Themes, you have to use all their products right as much time as you wish, and they don’t place any restriction at all. Another awesome news you can use this product to build websites for your clients for totally free. This feature surprised me because they have video tutorials and blog posts where they teach you how to install the themes, plugins within seconds. They even have a Youtube account where they post short and long, in-depth design tutorial to teach you to customize your blog design. You can do by yourself watching their step by step tutorials in pure form. One of the main reason to use this Premium WordPress themes is to show my blog post mobile devices. The reason is more than 60% use smartphones and by 2020 more than 5.5 billion people worldwide will own a mobile device. Facebook instant articles are developed now by having this in mind. No one wants to miss mobile users, and every Elegant Theme is mobile friendly and looks good on mobile devices. Now Product reviews site make colossal money the reason is it adds trust to the buyers. By giving the rating to a particular product. which attracts users to click and buy the product. You can get this same appearance to display, and there is an inbuilt feature which allows you to give ratings, show the pros and cons of the product you own or promote. You can also create buttons, give hover effect and give an excellent design with perfect colors. 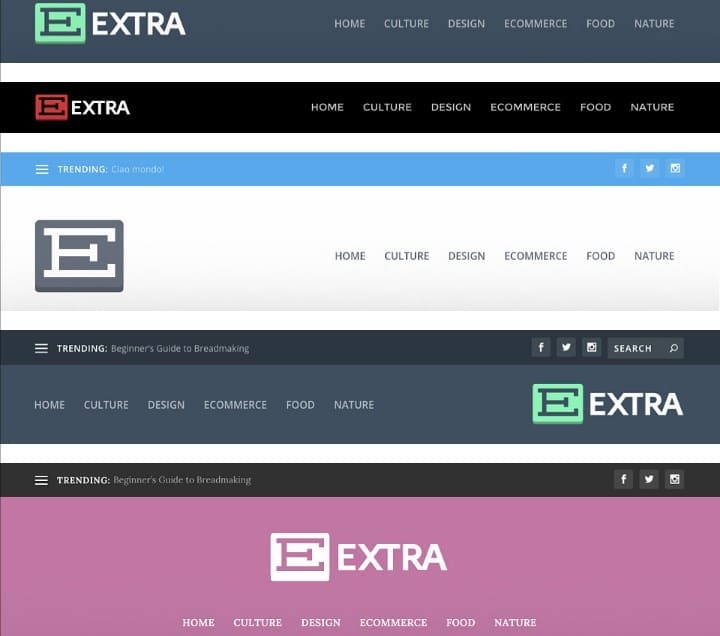 If you are looking to create a magazine blog, then use the Extra Theme from the collection. They always conduct an intensive technical audit for all their themes and plugins by Sucuri, the world’s best web security company. To make people like you choose their products with 100% confidence. This is the safe seal given by Sucuri after no issues were found after auditing. Buy it without second thoughts. I am not joking, and I am not a liar again. Yes, it’s true, and as the member of ElegantThemes, I learned to design my website myself without hiring any coders. With awesome site building tutorials with the help of Divi site builder, now I’ve learned to design my websites. It’s straightforward all you have to do is drag and drop the part which you would like to add in your site. The theme is so flexible and allows me to design a website within a few days. Note: All themes are pre-built with everything designed but you want to do any additional customization you can do it. If you are a web designer like me, then you hit a jackpot today, and no one going to tells this method. However, I am saying it for free. Believe me! Since the arrival of Divi template, it sparkled many website owners and web designers to launch their web design firm. Now they are making thousands of dollars weekly by designing divi child themes and selling it to clients. 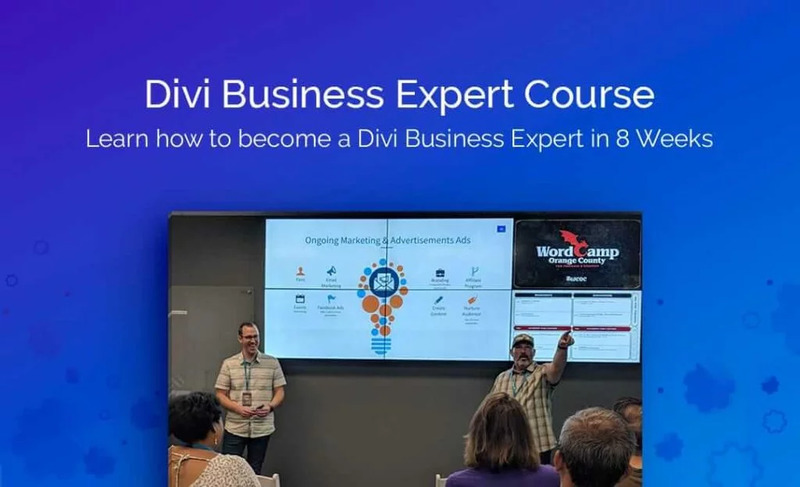 Check Divi Space a third party company selling premium child divi templates and also selling Divi Business Expert Course, the no #1 rated divi course where you learn to open your own and successful web design business. So trust me and my words, visit their official website Click here and buy it. Elegant Themes support is super fast to make high-quality conversations, and they have live chat system for all their customers. They are well-trained team members who are capable of answering every question and still now they are responded to 2 million items. To test yourself Click here and ask any question and believe me you will get the response within 20 seconds. Sometimes we make mistakes and search for answers in Google that’s normal. Moreover, we find some answers some may be useful and some maybe not. 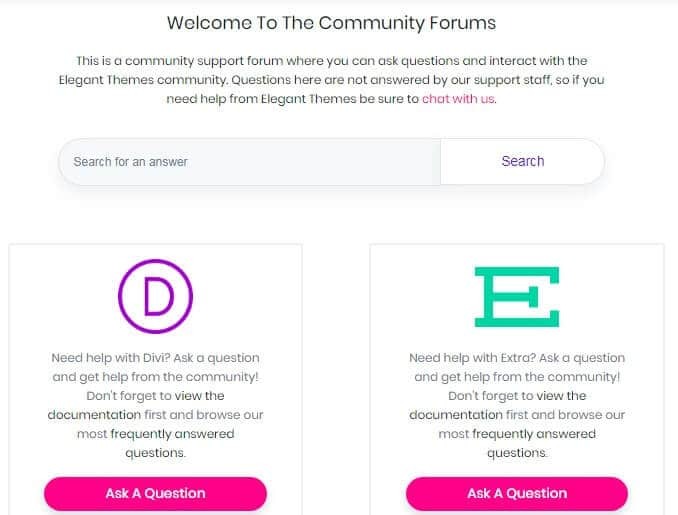 That’s why Elegant Themes Support forum has their forum. Search for an answer, and you will get it instantly why because the forum consists full of wealth and knowledge from people who are using the product currently. Ask setting related question or anything you would need for. Even I found answers to some questions and solved it with proper guidance. I need to appreciate and thanks to Nick Roach for having this awesome community. ePanel is same as like Cpanel in hosting. 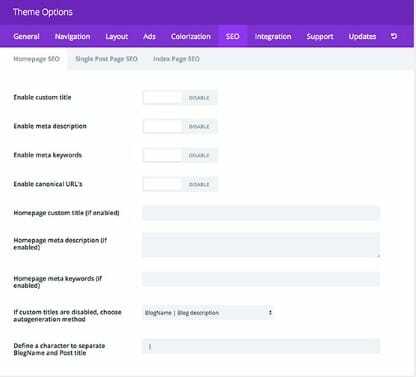 This option will have the opportunity to manage advertisements, optimize for search engines, change the colors and control your website without touching a single line of code. 15. Beginners Take Time – The only Con! If you know to do web designing then go with this theme. 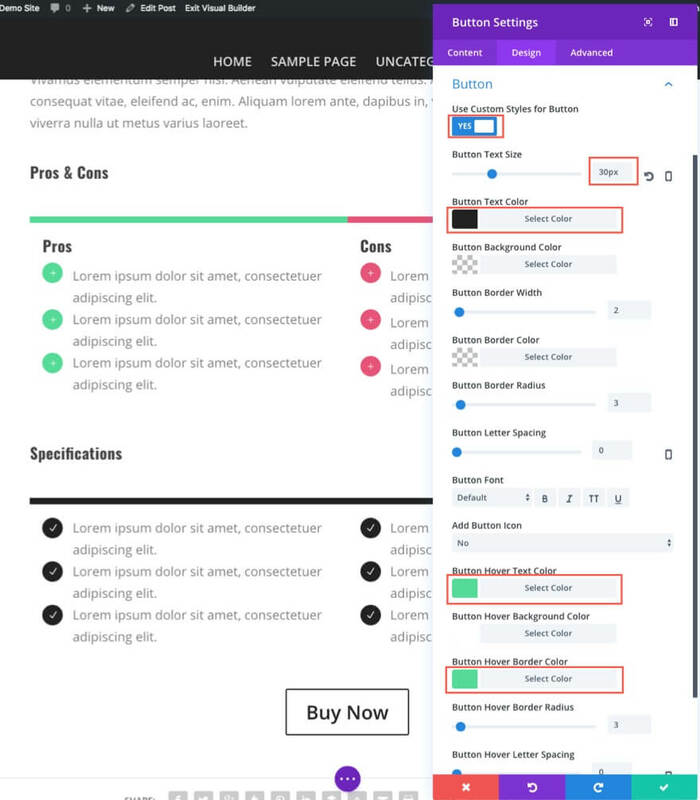 But for newbies working with Elegant theme takes time because after working with the basic classic editor they find hard with divi site builder to edit their themes at the beginning. But after one or two weeks they will fall in love with this theme. Also, they have pre-built 87 themes and have the option to work with your normal editor too. This is the only bad thing I see. Let’s see features one by one in detail in this detailed guide. Before introducing the theme and plugins, it is essential to see what the theme as got? Alternatively, in other words, what are the perks of using this theme? Let’s see the theme options, and this is one of the reasons to use their themes. The theme has many options to customize and control your website without adding any line of codes. The best feature attracted me is colorization option to give any color of your choice on various parts of your theme. Usually, If you need a specific color of your choice, you need to use CSS codes, but Elegant Themes made it simple. Today SEO is ruling online industry without proper online knowledge you’re wasting your time on online business. To rank in search engines, you need optimized WordPress themes. All themes from Elegant have the option to do proper optimization for all articles and you can bring traffic by optimizing your blog post. I don’t know which theme provider has this option. If your website needs to rank in search engines you, I prefer you to use Elegant Themes. Today more than 90% of websites earning through advertisements and if you’re one of them planning to make money through ads such as Adsense, Affiliate programs, etc. By using these option, you can place your ads wherever you want, and you don’t need any third party plugins for this purpose. Only a few themes shops like Elegant Themes, MyThemeShop themes, Themeisle has inbuilt ads managing options. Not only in English but you can also the translate options allows to translate the site into 32 languages. This option is best for targeting foreign customers speaking different languages. We all need a good design website to show off. Writing a plane article and publishing it won’t attract visitors. The article must be written and well structured with different colors and layouts. By using Elegant product, you can use various layouts inside your article and make your website look beautiful. I want to say one thing in this Elegant Themes review, The Shortcodes which you see below available only in this shop. If you’re using any other themes, but you still want this shortcode to use on your website. No problem, Many plugins are available from various sites. You can search plugin and install them one by one on your website it works the same but the problem is installing many plugins will slow your website loading speed and increase request time. Slow loading webpage will rank low on search engines which will spoil your online business. All Elegant templates contains shortcodes embedded with themes, and you can use in case you need. Buttons – Add buttons with various styles, colors, and sizes to promote your products. Boxes – Use large boxes when writing essential contents so readers can read without missing it. Tabbed content – Create tabbed content. Slideshow – Show slideshow inside your webpage anywhere. Password Protection – Protect any part of your content and allow them to see with your permission. Social Share buttons – Show social media button in your post to share the article on various social platforms. Pricing Tables – Add price tables to show your different pricing structure. Testimonials – Add testimonials of your users on post or page to gain visitors trust. Quotes – Add quotes inside your articles in different styles. There are 16 shortcodes, but for this guide, I have shown only nine options which I fell the most important. Visit http://www.elegantthemes.com to check all 16 shortcodes. The theme contains eight best page templates to use it. However, I am showing only the critical five templates. Contact Form – Add contact form with captcha solving feature. Image Gallery – Easily create image galleries inside the post to view quickly. Member Login – The best option for allowing guest posting, allow visitors to login in using a form on your page. To talk about the best Elegant Themes from the gallery, it contains a plethora of framework for us. You can pick a good looking excellent theme from this category and use if for your website. However, I like the Divi theme the most. Like many WordPress themes shops, Elegant product also has custom site builders to design your websites. 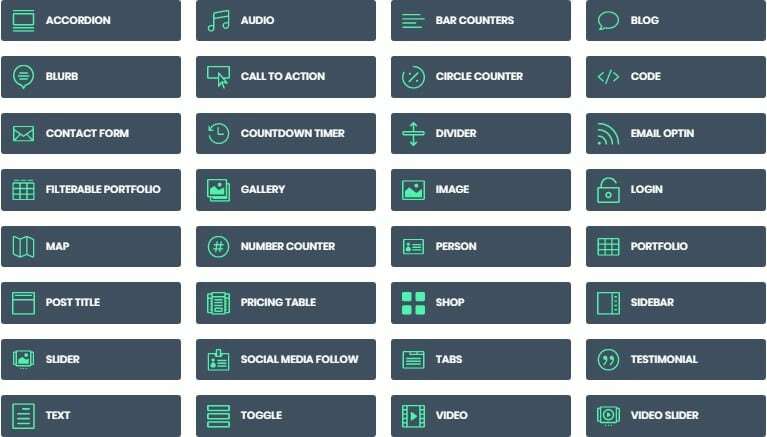 The Divi 3.0 builder is an advanced visual page builder comes with the plethora of options to build websites quickly. 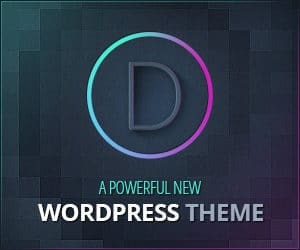 Divi 3.0 is WordPress plugin to build sites and also you can use Divi builder site builder plugin to design any WordPress themes. Like you can also use Divi site builder for designing Mythemeshop and Genesis. 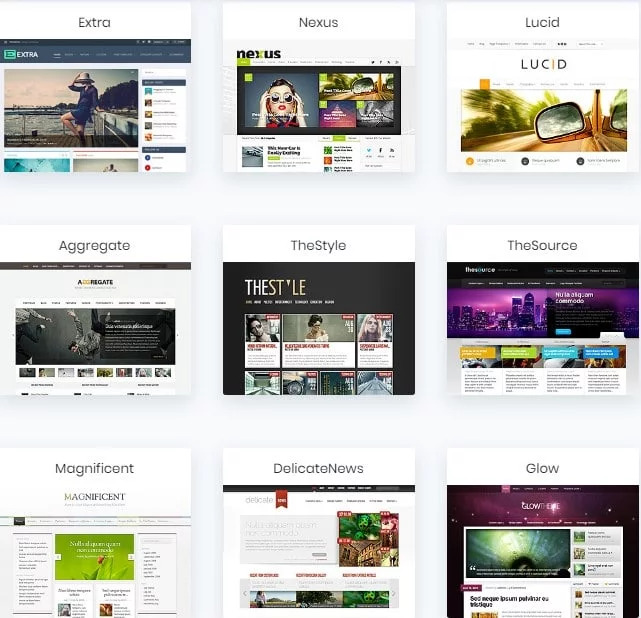 The Divi Site builder comes with a beautiful visual interface that will completely change your way of building websites. You can easily use drag and drop option to create a beautiful and stylish engaging article. By using Divi, you can easily edit, design and customize your websites. By using Divi site builder, you can customize your site header with different layouts and designs you like. You will love this feature from Elegant Theme shop. 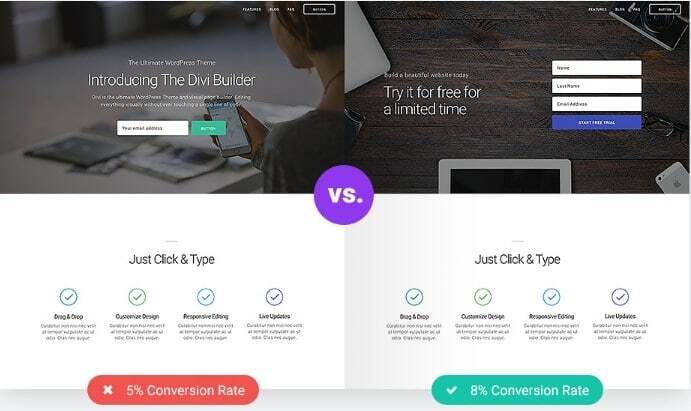 The advanced feature I would love to introduce in this guide is A/B Testing which I feel more important for your online business and it’s secret tips from me. Various factors attract users to click your webpage it could be anything like site structure, color, buttons or anything. By using Divi leads you can create two different layouts for the same page and check which design helps more leads. From this split test Page B, conversation rate is higher than Page A. So you can use page B layout for more sales. You can also check the summary & Data of Page A & Page B at any time. A/B testing is vital for every online business to grow and get more profits. Only Elegant Themes has this A/B testing facility. 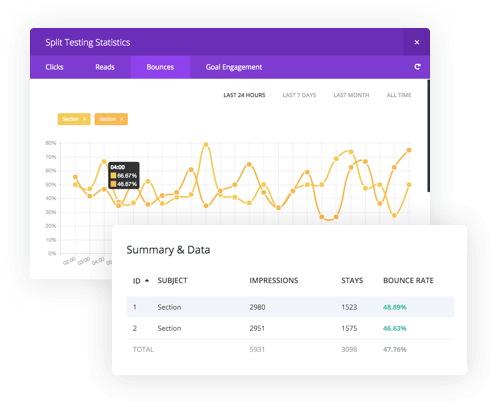 Visit http://www.elegantthemes.com to know more about A/B testing. Another best product is Bloom Email Opt-in plugin, the best Opt-in to grow your email subscribers. By showing opt-in on your webpage, the visitors will subscribe to our newsletters by doing this you will get genuine subscribers and more sales. The Bloom plugin comes with 100 different layouts and can customize the colors of the Opt-ins. Bottom Post – Automatically appears when readers reach the bottom of the post. After Scrolling – Appear when scrolls a page or post. Time Delay – Set a time to show Opt-in. After Purchasing – Show Opt-in after the checkout process. After Commenting – After user comment, the Opt-in will appear. Inactivity – Show Opt-in to grab user attention when the user became inactive. This Bloom opt-in work with the 16 best email marketing service like MailChimp, Aweber, Feedblitz, GetResponse. One of the best social sharing WordPress plugins is Monarch. 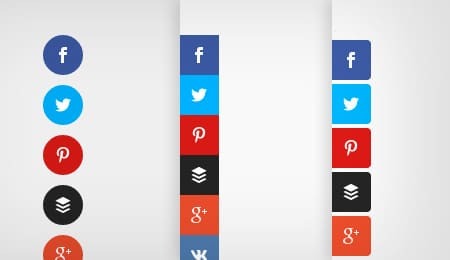 By using it, you can place social share buttons on the post or page. You can use a different shape of buttons and use it on above, below, or side on the content. Also, you can set triggers to show social share buttons whenever you think to show. Also, future releasing themes will get automatically attached to your account. Nick Roach, I appreciate him and developer crew members again for giving out powerful, free and premium WordPress themes. From my experience and knowledge about WordPress theme, I support Elegant Themes, and I see many advantages of using it. The themes are awesome and super friendly and well coded. 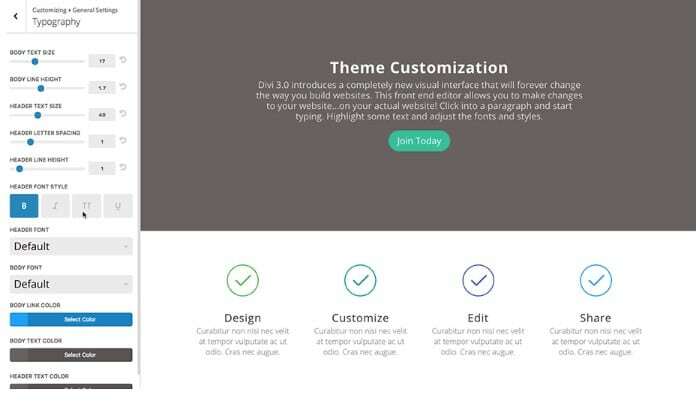 Regularly they are updating themes with new features. With Divi 3.0 visual site builder you can build beautiful websites by simple drag and drop. Price is affordable, and you can use it for unlimited with a single license account. I hope this Elegant Themes review for 2018 gave you enough information. After reading my honest opinion, If you still questions regarding Elegant Themes and Plugins. Then you can read this FAQ’s and make your decision. 1). Is the theme will be suitable for my website? Elegant Theme shop has 88 themes for all types of blogs from E-commerce to a personal theme. So it will surely have the kind of theme you need. 2). I don’t know anything about coding, Can I design the theme without coding skill? 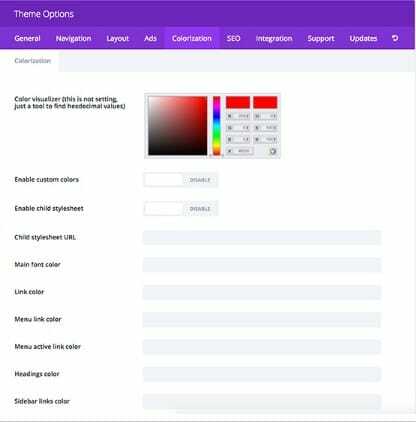 By using Divi drag and drop site builder, you can customize the theme without touching a single line of code. 3). Divi site builder is easy to use? Very easy to use and they have several video tutorials and guides in the forum section. 4). Using the Divi builder have any downsides regarding SEO? Google only cares about site Schema markup, contents, loading speed and doesn’t care about the site builders you use. 5). Is the products are secure to use on my website? I am happy to say that Elegant Themes company use Sucuri.net firewall protection to keep themes and plugins 100% safe always. 6). Can I use themes and plugins on unlimited websites? Yes, you can use products on all of your websites. There is no restriction at all. 7). Will pages support other languages? Not only English, but the pages can be translated into 32 languages. To know the language name check the above image in translate section. 8) Is affordable to buy? I write WordPress theme reviews after I use, so naturally, I know the price of all theme selling shops. 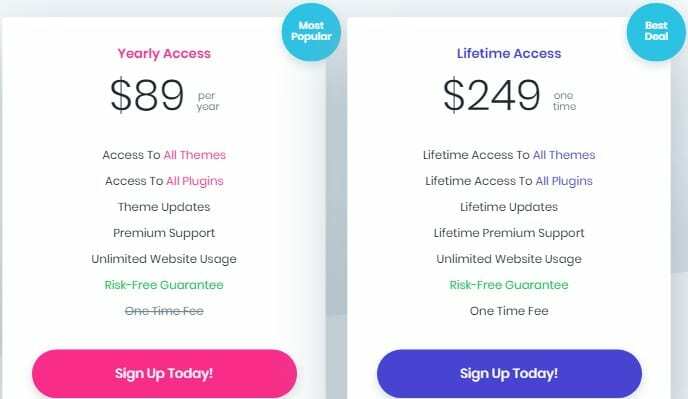 Other websites are selling a single template for $60 with several limitations. 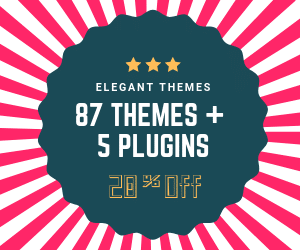 However, in the this theme shop, they are offering 88 themes and 5 Plugin for $89. 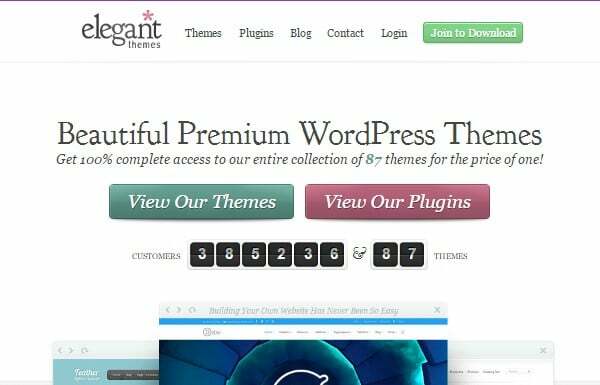 Now you know the value of purchasing from Elegant Themes from this guide. If your query is solved from the above answers, then don’t waste your time visit http://www.elegantthemes.com now and get lifetime membership. Can i use this theme on unlimited sites? 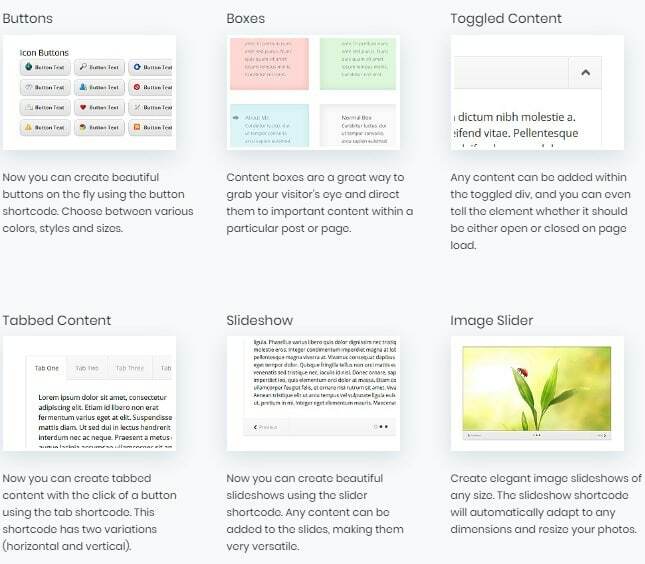 The theme contains 8 best page templates to use it. But I am showing only the important 5 templates.” now comes with hundreds pf page temples and many more available via 3rd parties. I’ve purchased it last week and the themes looks awesome. Dude. Please check it again.